Children often fare the worst when communities face social and environmental changes. The quality of food, water, affection and education that children receive can have major impacts on their subsequent lives and their potential to become engaged and productive citizens. At the same time, children often lack both a private and public voice, and are powerless against government and private decision-making. 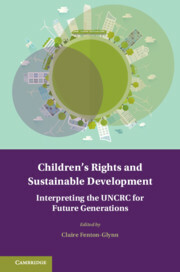 In taking a child rights-based approach to sustainable development, this volume defines and identifies children as the subjects of development, and explores how their rights can be respected, protected and promoted while also ensuring the economic, social and environmental sustainability of our planet. 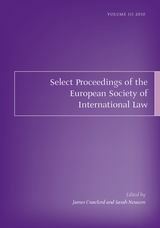 This book has been edited by Dr Jamie Trinidad, a Fellow of Wolfson College, Cambridge and the Lauterpacht Centre for International Law, University of Cambridge. His research and publications address, among other things, issues of self-determination, territory (land and sea) and the practice of international courts and tribunals. He is a practising barrister and he has a PhD from Cambridge. 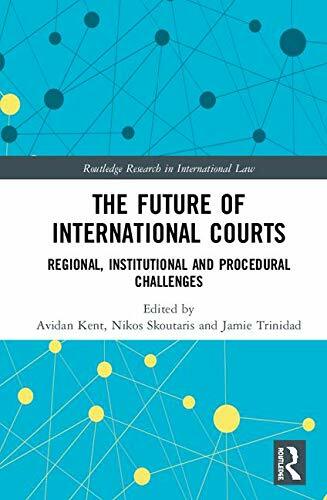 ‘The Future of International Courts: Regional, Institutional and Procedural Challenges’ addresses some of the most pressing challenges faced by international courts and tribunals today: from geopolitical shifts, to rising populism and authoritarianism, to increasing demands for third-party participation in international proceedings. It includes a keynote chapter by Karen Alter, and several of the other contributors are friends of the Lauterpacht Centre. The book is due to be published in March 2019. 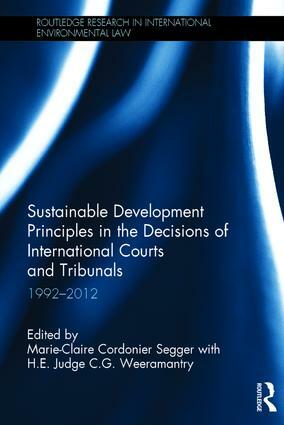 The 2002 New Delhi Declaration of Principles of International Law relating to Sustainable Development set out seven principles on sustainable development, as agreed in treaties and soft-law instruments from before the 1992 Rio ‘Earth Summit’ UNCED, to the 2002 Johannesburg World Summit on Sustainable Development, to the 2012 Rio UNCSD. Recognition of the New Delhi principles is shaping the decisions of dispute settlement bodies with jurisdiction over many subjects: the environment, human rights, trade, investment, and crime, among others. 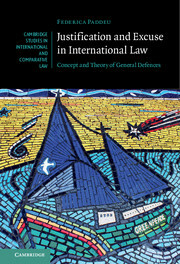 This book explores the extent to which contemporary international law expects states to take into account the interests of others - namely third states or their citizens - when they form and implement their policies, negotiate agreements, and generally conduct their relations with other states. 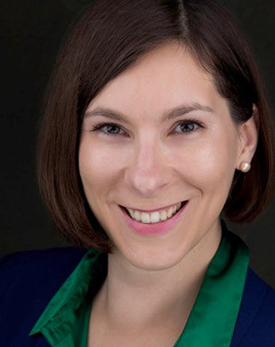 Cambridge University Press has published Justification and Excuse in International Law: Concept and Theory of General Defences by Dr Federica Paddeu as part of the Cambridge Studies in International and Comparative Law series. The defences available to an agent accused of wrongdoing can be considered as justifications (which render acts lawful) or excuses (which shield the agent from the legal consequences of the wrongful act). This distinction is familiar to many domestic legal systems, and tracks analogous notions in moral philosophy and ordinary language. Nevertheless, it remains contested in some domestic jurisdictions where it is often argued that the distinction is purely theoretical and has no consequences in practice. 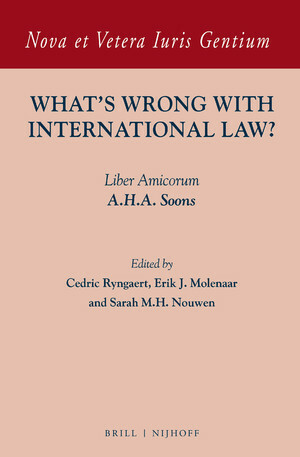 In international law too the distinction has been fraught with controversy, though there are increasing calls for its recognition. The invasion of Iraq in 2003, and the Coalition Government’s failure to win parliamentary approval for armed intervention in Syria in 2013, mark a period of increased scrutiny of the process by which the UK engages in armed conflict. For much of the media and civil society there now exists a constitutional convention which mandates that the Government consults Parliament before commencing hostilities. This is celebrated as representing a redistribution of power from the executive towards a more legitimate, democratic institution. 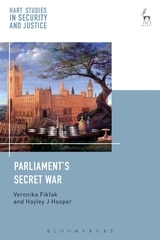 This book offers a critical inquiry into Parliament’s role in the war prerogative since the beginning of the twentieth century, evaluating whether the UK’s decisions to engage in conflict meet the recognised standards of good governance: accountability, transparency and participation. The analysis reveals a number of persistent problems in the decision-making process, including Parliament’s lack of access to relevant information, government ‘legalisation’ of parliamentary debates which frustrates broader discussions of political legitimacy, and the skewing of debates via the partial public disclosure of information based upon secret intelligence. The book offers solutions to these problems to reinvigorate parliamentary discourse and to address government withholding of classified information. It is essential reading for anyone interested in war powers, the relationship between international law and domestic politics, and the role of the Westminster Parliament in questions of national security. Of the many expectations attending the creation of the first permanent International Criminal Court, the greatest has been that the principle of complementarity would catalyse national investigations and prosecutions of conflict-related crimes and lead to the reform of domestic justice systems. 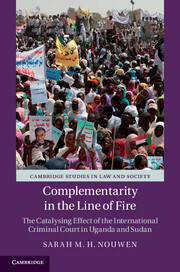 Sarah Nouwen explores whether complementarity has had such an effect in two states subject to ICC intervention: Uganda and Sudan. Drawing on extensive empirical research and combining law, legal anthropology and political economy, she unveils several effects and outlines the catalysts for them. However, she also reveals that one widely anticipated effect – an increase in domestic proceedings for conflict-related crimes – has barely occurred. This finding leads to the unravelling of paradoxes that go right to the heart of the functioning of an idealistic Court in a world of real constraints.